Come December and children and elders alike, will get a chance to learn about the scavenger commonly known as the vulture. And no, there will be no classrooms or seminars or notes handed out. Raghunath Krishna, founder of Pencilsrock Academy, and his team of volunteers will teach through games, art, tattoos and more. An initiative by Pencilsrock Academy and the Madras Naturalistsa�� Society, the carnival is being conducted for the Coimbatore-based NGO Arulagam, whose mission is to spread awareness about the bird. a�?When you draw an elephant, do you know why you are drawing its legs straight instead of at an angle, like you would for other animals?a�? asks Krishna, hinting at how children tend to ask questions when they draw, thereby making art an effective means to teach. a�?You cannot a�?tella�� children something and expect their attention,a�? he says, adding a�?you have to explain and satisfy their curiosity.a�? The artist and animator found himself drawn to wildlife as a boy and joined wildlife census projects to learn about them. 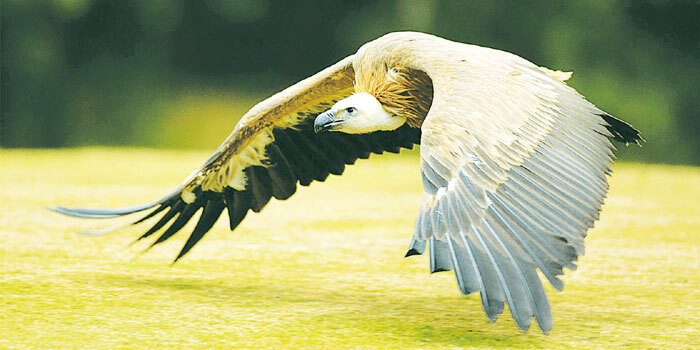 But this carnival is not just about getting children to learn about the vulture and its role in the ecosystem. In addition to roping in aeronautical engineers to demonstrate how thermal columns (rising columns of warm air; vultures use these while gliding) work, day one of the three-day carnival will feature a drawing competition for different age groups. The winners of this competition will get to travel to the Niligiri biosphere and educate the tribal children there, while getting to learn about their way of life as well. After all, conservation is for the benefit of the next generations.